Unreal Lawns supply and install artificial grass in Prestwich and the north west of England. We serve domestic and commercial customers in the area, with products suitable for a wide range of applications from outdoor spaces and gardens, to event areas, exhibition space and more. See below for some examples of projects we've carried out in the Prestwich area. 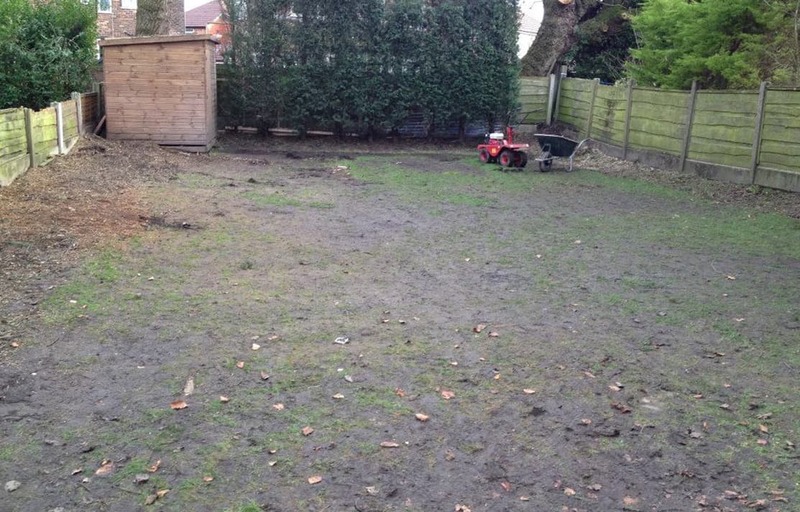 We are pleased to have helped a family in Prestwich, Manchester transform their garden with the installation of our supreme artificial grass. The home had a nice sized garden of 187 square metres, however, the natural lawn was struggling to keep up with the demands it was placed under. After removing the original turf and preparing the area we were able to effectively install the new artificial grass. The before and after photographs speak for themselves. The result left the family delighted with their new lawn, which is now green and fresh looking, free of mud and perfect for playing football. They were especially happy with the fact that this is how it would stay, with no more maintenance required.